Marie-Azélie Guerin was an intelligent woman and a hard worker. She had considered becoming religious, but the superior of the Hotel-Dieu of Alençon had discouraged her inquiry outright. Disappointed, Azélie learned the trade of lacemaking. She excelled in it so rapidly that at the age of twenty-two, she set up her own business on rue Saint-Blaise. 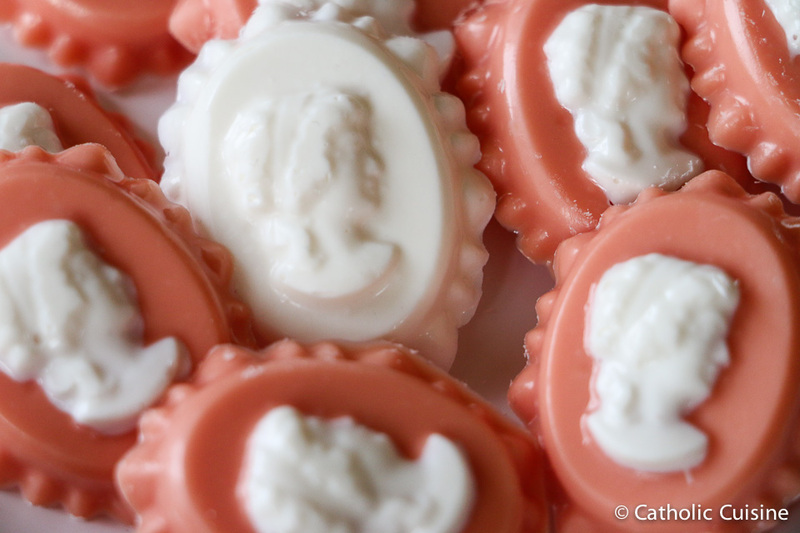 To celebrate the canonization of St. Zélie, the Lace Maker, I made some Cameo and Lace Candy! Melt the white candy melts. 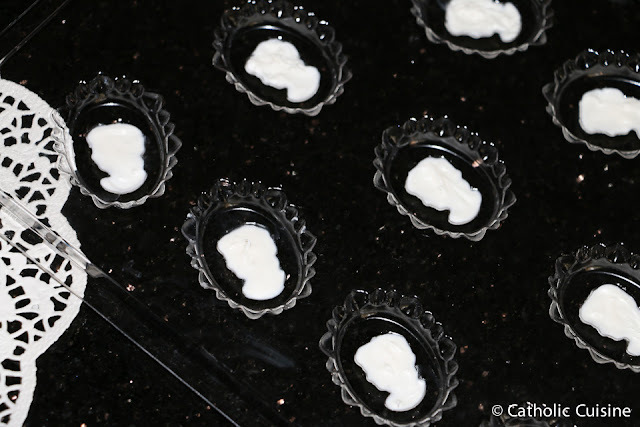 Using a small spoon and toothpick, fill each cameo with some of the melted candy, tap gently or use the toothpick to spread the candy and make sure all the air bubbles are removed. Place in refrigerator to harden. 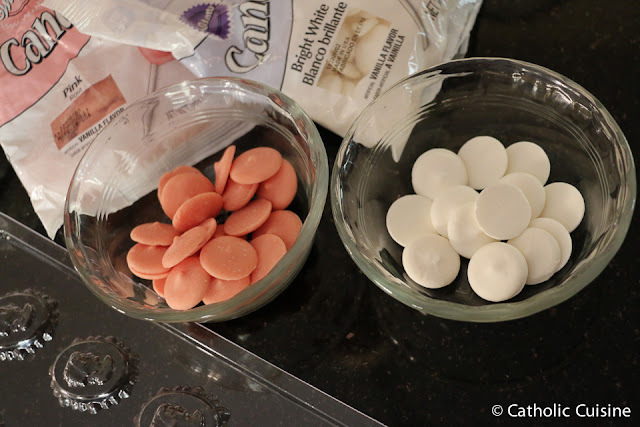 If you'd like to save some time, you can make the candies solid white, or whatever color you choose, and fill the mold completely. Melt the pink candy melts. 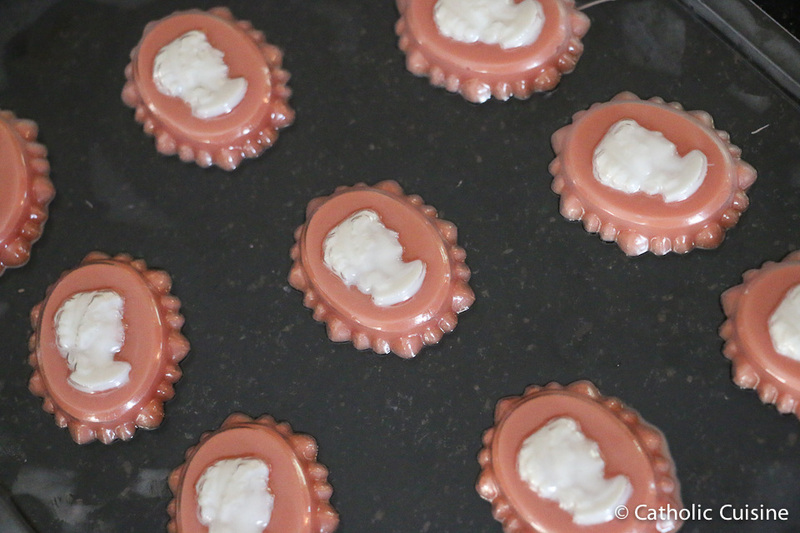 Remove the candy mold from the refrigerator and fill the rest of each mold with melted candy. Place back in the refrigerator to harden. 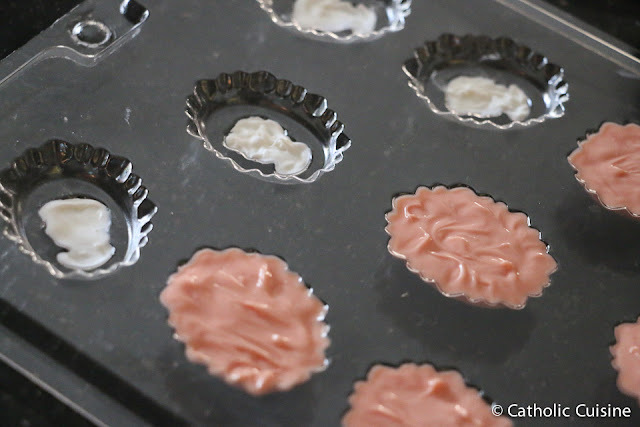 Gently bend the mold to remove each of the candies. With the canonization this upcoming weekend (October 18, 2015) of Bl. Zelie and Louis Martin I was looking at additional ideas to add to the celebration. In previous posts, I suggested a couple recipes that were lace-themed because of Zelie's profession as a lace maker in the French region of Alencon. These quick and easy lacy-looking Parmesan bowls are a fun and delicious addition to the collection of "lace" foods. 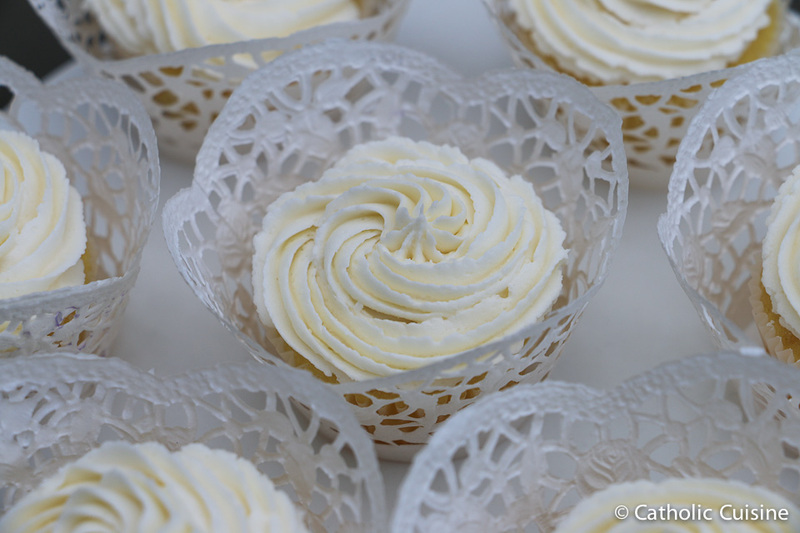 They make for a lovely presentation and are also edible! Frico, or "little trifles" in Italian, are very thin and crisp disks made from small mounds of grated Parmesan, melted and cooled. They can be left as flat disks or formed into delicious edible bowls for a filling of salad, marinated vegetables, fruit, custard, or pasta. Preheat oven to 350 degrees. Place oven rack in middle of oven. Dump 1/3 cup cheese onto greased or silicone mat lined baking sheet. Spread into 5-6 inch circles. Put in oven and allow to brown in the oven for 8-10 minutes, until golden. Working with one round at a time, quickly transfer cheese with a thin spatula to an inverted custard cup or small bowl. Repeat with the next cheese round. Cool completely, and then remove carefully. 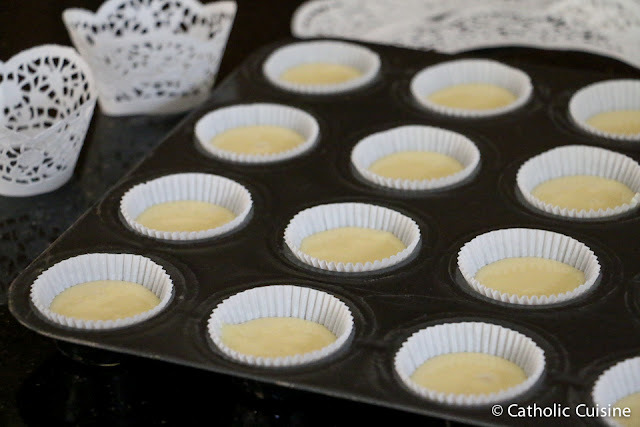 It is suggested that you bake only 2 or 3 at a time so that you can transfer and form them quickly before they cool too much. Let Parmesan bowls cool about 5 minutes before removing from flipped bowl. Makes approximately 6 bowls depending on desired size and consistency. 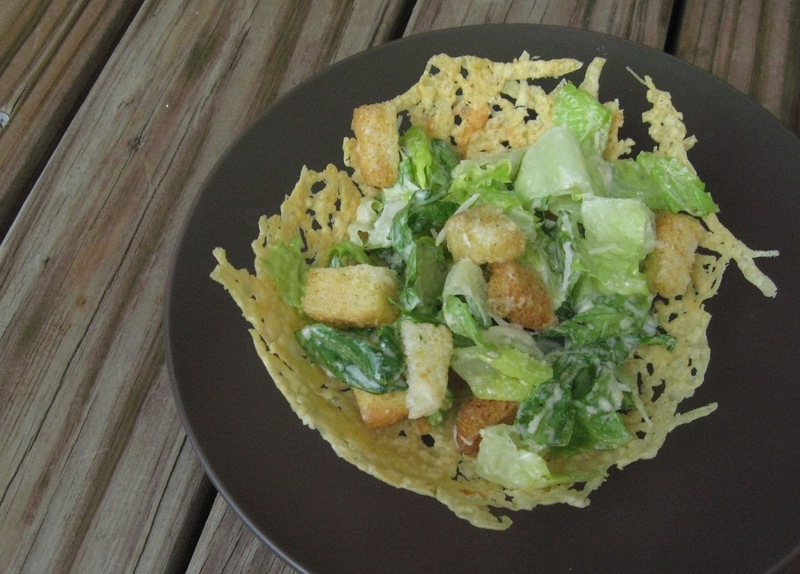 Divide prepared salad among the Parmesan bowls and serve. As mentioned, the bowls can also be filled with fruit, custard, whipped cheeses, etc. Using a smaller amount of cheese can be made into appetizer sized bowls. I saw some recipes forming the bowl over a cork end, so that would be the size. Bl. Zelie Martin, Pray for us. Bl. Louis Martin, Pray for us. I recently saw this new product from Old El Paso - Mini Soft Tortilla Taco Boats - and immediately thought of the uses for all the saints and feast days associated with boats and sailing (and there are many!). Today's feast of Our Lady of the Pillar is connected to Christopher Columbus, the holiday also recognized today in the United States. Under King Ferdinand of Aragon and his wife Queen Isabella, devotion to Nuestra Senora del Pilar (Our Lady of the Pillar) took on national importance in Spain. When Columbus embarked on his journey to find a sailing route to India, he placed the three ships under Mary's patronage. As the weeks dragged on and no land in sight, the sailors grew restless. Columbus' journal indicates he invoked Our Lady under this title, declared that if they did not see land by her feast day they would turn back. On October 12, 1492 the navigators spotted indications of approaching land - one of the islands of the Bahamas - which was named San Salvador when they landed. Our Lady had interceded. Today, in commemoration of Our Lady of the Pillar, and of the three ships - the Nina, the Pinta, and the Santa Maria - we enjoyed a dinner of taco ships. These edible little boats can be filled with a variety of different fillings, made to your liking and specifications. Here they are filled with spiced ground beef, cheese, salsa and sour cream with a tortilla chip sail. Thought a "New World" Hispanic inspired meal with spices (Columbus' travels were intended to make it easy to reach the spices of far east.) would be fun. Made with or without a sail, can be a quick and ready made boat for a variety of saints and feast days. Dents de loup, wolf’s teeth in French, is a culinary decorative cut used for fruits or vegetables. It is called dents de loup because the pointed teeth-like shapes of the outer surface or rind looks like the sharp teeth of a wolf. 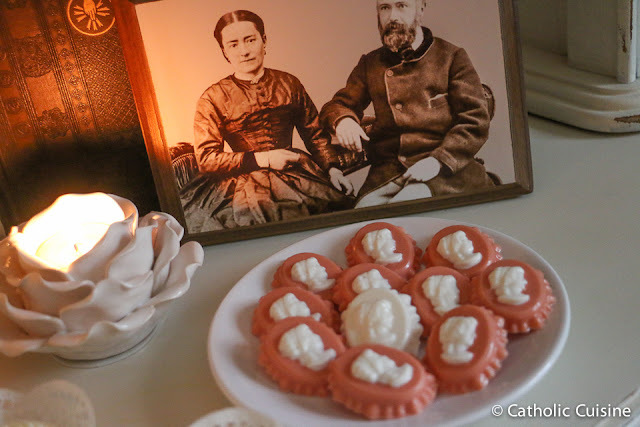 Last year I shared a recipe for a French cookie/biscuit also called Dents de loup as an option for the feast of St. Francis of Assisi because of his connection to the wolf of Gubbio story. But it is also really simple to add a dents de loup option to a meal or snack for the feast day by using this cut on an orange, watermelon, cantaloupe, kiwi, grapefruit, lemon, tomato, or bell pepper. 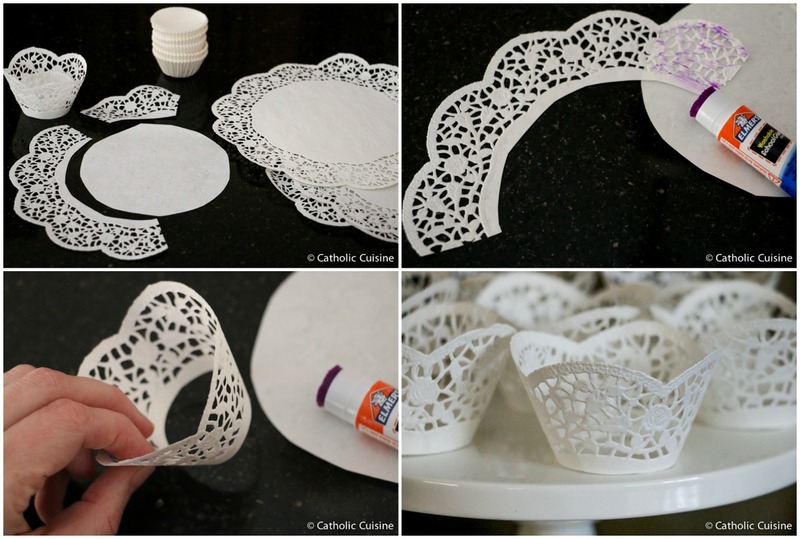 Cut thin slice off both ends of the fruit so it will hold steady in the plate or platter. Start at the middle of the fruit. Insert a sharp knife at an angle, going deep enough to reach the center. Remove the knife and insert again at an angle but in opposite direction to form a triangle (or pointed dent de loup/wolf tooth). Continue with same pattern around the fruit. When you reach the beginning cut, separate the two halves. It is now ready to serve or to decorate any plate. Watermelon boats/baskets are frequently decorated with this cut. Lemons that are cut in dents de loup are often served with fish to decorate. 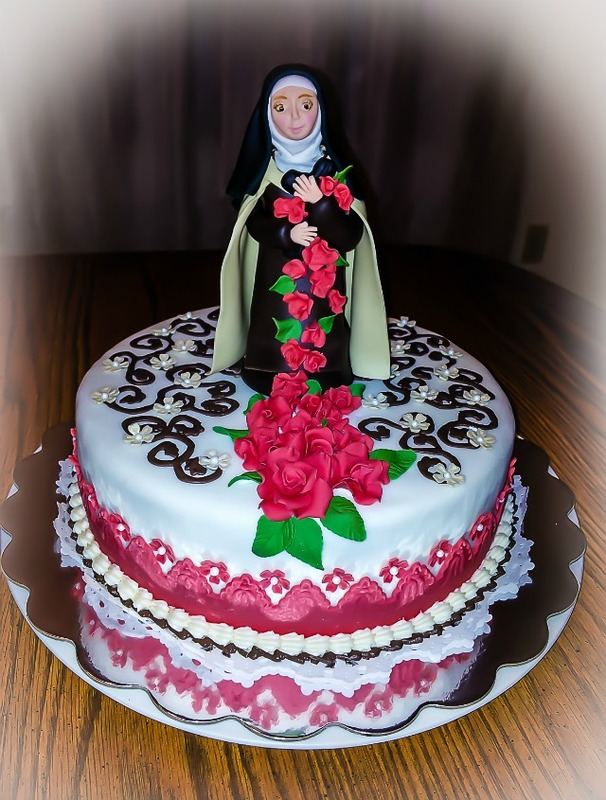 The following cake was submitted by Julie Machado, from Marta, Julie e Maria, for the feast of St. Therese. Thank you, Julie! 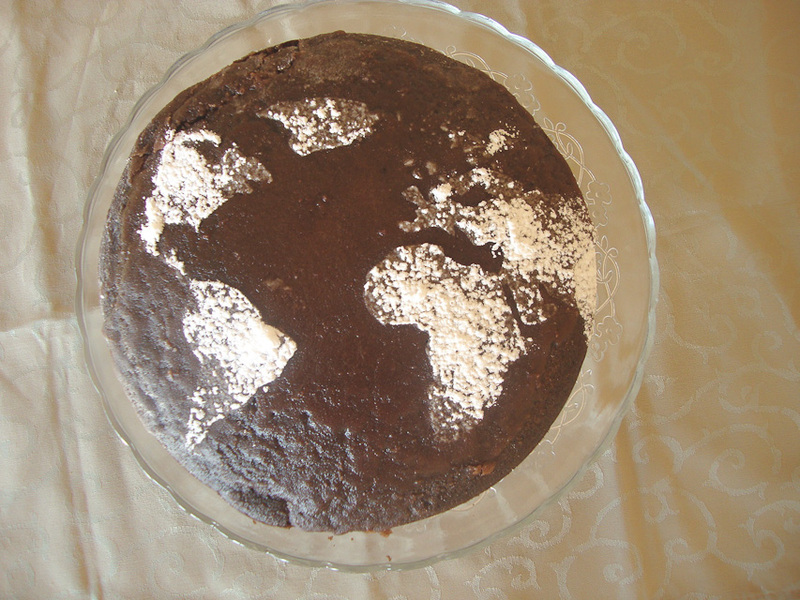 Seeing as St Therese is the patroness of all foreign missions, here is an idea for a world cake. I used this chocolate cake recipe and glaze from RealSimple minus the strawberries. 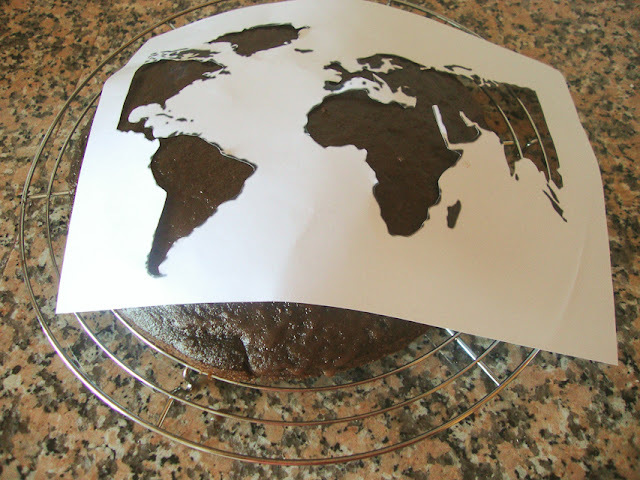 Then I printed out a world map outline and roughly cut out the continents. I gently rested the paper on the cake and sifted powdered sugar on it, then lifted off the paper. I used a pastry brush to wipe of excesso sugar. Voilá! 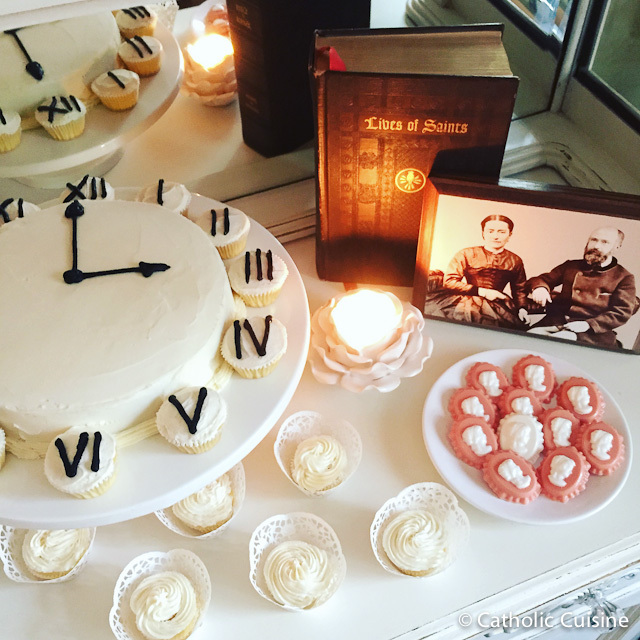 A blessed St. Therese day! 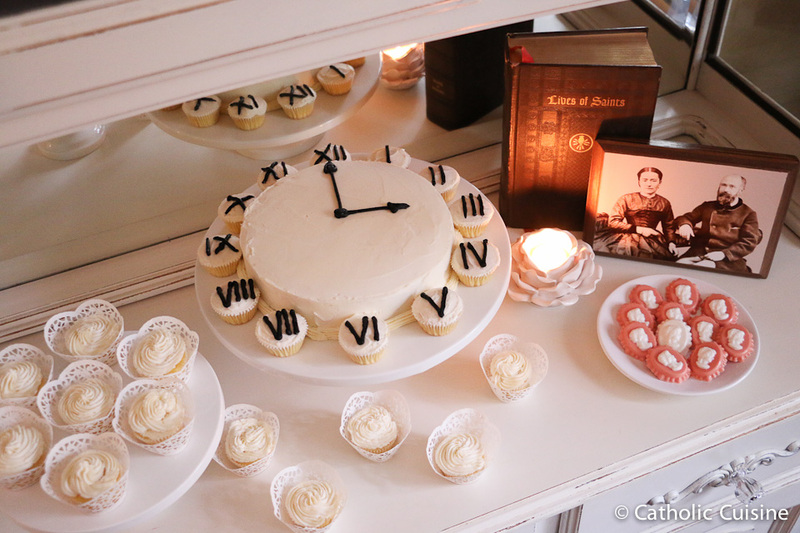 Additional ideas and recipes for the feast of St. Therese can be found in the archives. 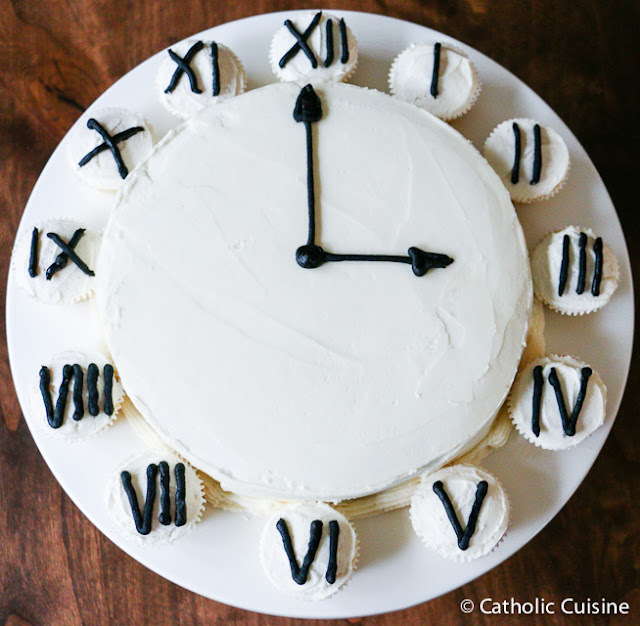 The following cake was submitted by Anna, from Regina Coeli Baker, to celebrate the Little Flower! 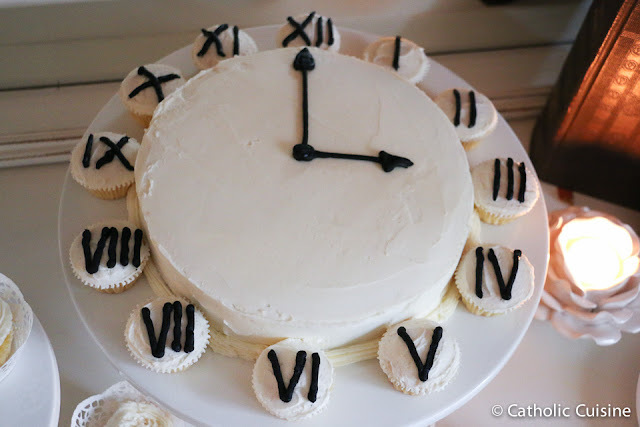 This was her daughter's 10th birthday cake. "It was a white and red velvet cake with raspberries and buttercream. 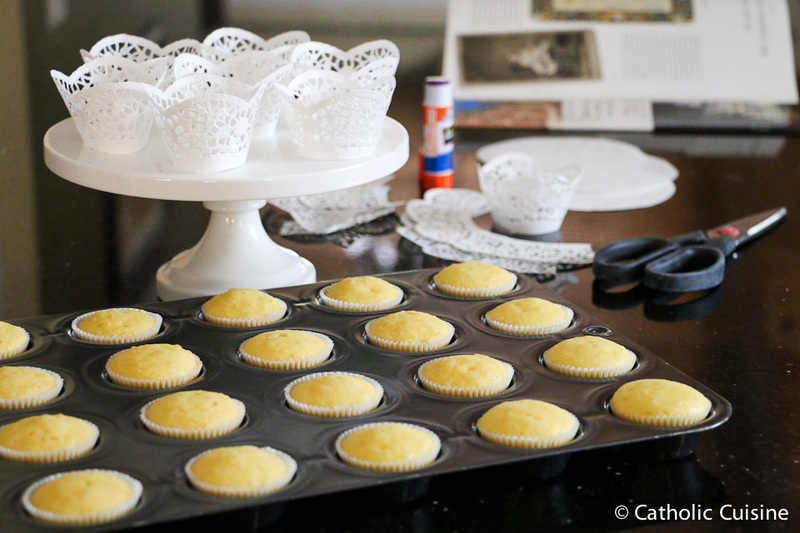 Accents and topper were made in fondant (and totally edible)." You can find additional cakes decorated by Regina Coeli Baker here. Thank you, Anna! O Little Flower of Jesus, pray for us!